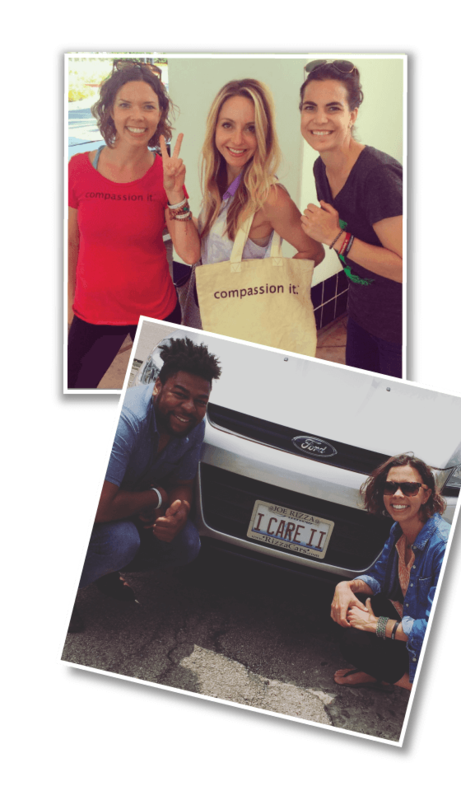 Compassion It is a 501(c)3 nonprofit organization and global movement whose mission is to inspire daily compassionate actions and attitudes. 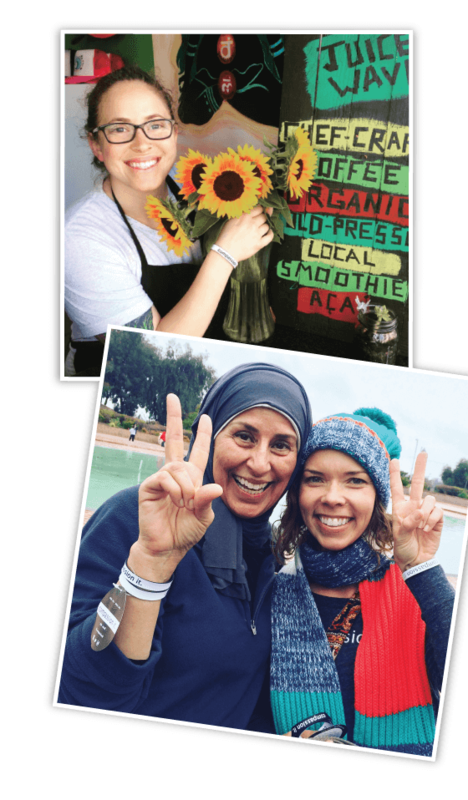 We envision a world where compassion is practiced by every person, for every person, on every day. Through our educational trainings and tangible tools, we are empowering individuals and organizations to make compassion a priority. San Diego-based Sara Schairer and Chicago-based Burrell Poe are both Stanford-trained compassion facilitators. Our team also includes many wonderful and talented volunteers from around the world. Scroll down to learn more about how Compassion It got its start. Visit our blog to find out about the work we do and the various audiences we've served over the years. In the summer of 2008, Compassion It Founder Sara Schairer experienced intense suffering. As a stay-at-home mom to her 18-month-old daughter, Sara's picture-perfect life had suddenly turned upside down. She was faced with an unwanted divorce that left her devastated, depressed, searching for a job...and searching for direction. Fortunately, Sara stumbled upon an "Ellen" episode that changed her life. Ellen was interviewing Wayne Dyer, and he said that compassion was the most important lesson to teach our children. It could solve the problem of hunger, create world peace, and much, much more. Sara could not stop thinking about compassion and its power. The word ‘compassionate’ became "compassion it" in her brain that day, and she knew that she was on to something. Compassion was now a verb...an ACTION. She began using that phrase in her own life and found that when she "compassioned it" during her daily interactions, she had the best outcomes. It took over three years before Sara felt courageous and motivated enough to start sharing her idea with more than just close friends and family. Once she did, the idea started taking shape. Thanks to the help and brilliant work of many friends, Compassion It gained momentum. To further fuel her fire, Sara was accepted into the year-long Compassion Cultivation Training (CCT) teacher-training program through Stanford University's Center for Compassion and Altruism Research and Education (CCARE). During her training at Stanford, she learned about the science and philosophical perspectives of compassion from leaders in the field. As a certified teacher of CCT, she has taught at the UCSD Center for Mindfulness, Kaiser Permanente, and The Naval Medical Center in San Diego. She has also led compassion trainings in Africa, sponsored by the Botswana Ministries of Health and Education. Sara is a contributing author to the book The Neuroscience of Learning and Development: Enhancing Creativity, Compassion, Critical Thinking and Peace in Higher Education and is a guest blogger for The Chopra Center. Sara is committed to reaching as many people as possible with this simple two-word message, and she believes that "compassion it" is not just a play on words. It's an action and a choice. 'Compassion it' is a way of life. According to the Merriam-Webster Dictionary, compassion is a "sympathetic consciousness of others' distress together with a desire to alleviate it." In other words, you recognize that someone is suffering, and you try to help. And "suffering" doesn't always mean someone is showing outward signs of feeling hurt. Nearly every person on the planet struggles with finding peace and joy and is therefore suffering in some way or another. Here's another way of looking at compassion. It's empathy plus action. Throughout your daily interactions, try putting yourself in another's shoes. Then think, "What can I do to help this person?" Often, a simple smile can make a big impact! Countless scientific studies indicate that compassion doesn't merely help those who receive the compassion. Practicing compassion makes us happier and healthier. It strengthens relationships, creates communities and fosters world peace.